Our Solidwool Colours range takes the coarse white wool of the Scotch Blackface sheep and combines it with a pigmented bio-resin. The result echos the original fibreglass Eames chairs, but with a wilder, more natural aesthetic. 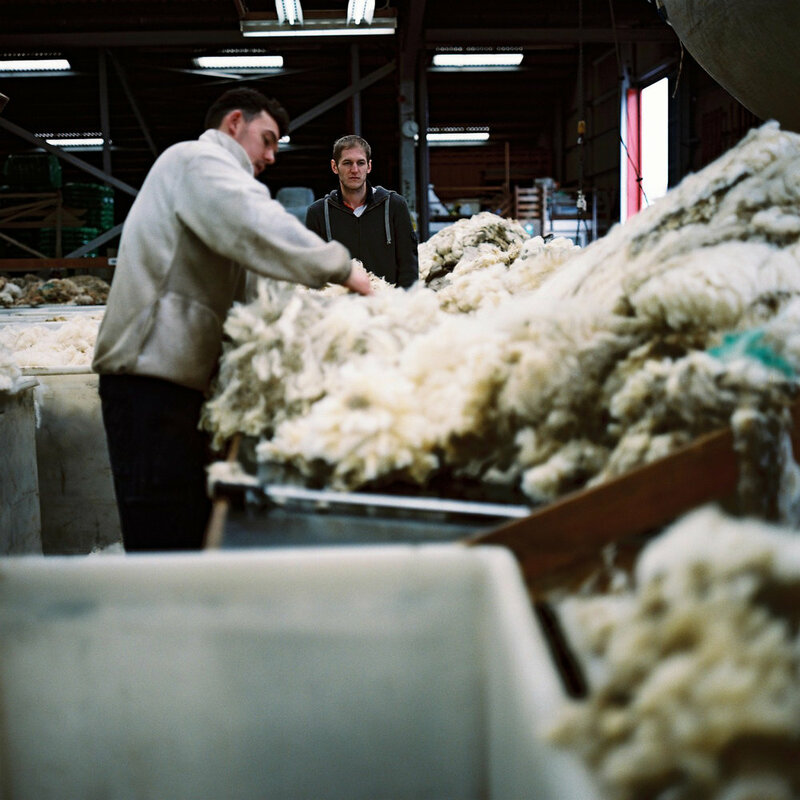 We've sourced this wool from our local wool depot at South Molton. So the wool in these chairs will have come from farms in the south-west including Dartmoor and Exmoor. It's another low-value, hill-farmed British wool. The current value sits around 60p per kg compared to Herdwick at 40p. Launching in 3 colours with a choice of natural ash or scorched black ash legs. If you would prefer to see the colour options before you buy, we've made a little sample pack of colour pieces. Leftover offcuts from our coloured coasters. Click below to buy. A £5 voucher will be supplied with the pack to take off the cost of your order if you purchase a chair. Your place in the production schedule and an estimated delivery date will be emailed once you have placed your order. If you would like to know beforehand, contact us here.